Preeet had the most liked content! Vaheguru ji Ka Khalsa Vaheguru ji Ki Fateh, ji First of all, Im sorry that he is experiencing that. I would suggest to reccomend him to do seva at the gurdwara ji as a daily routine (like washing bhartans, jodheyan di seva etc). Im sure it will help. Tell him to practice Sri Sukhmani Sahib ji and Sri Nitnem Sahib ji daily.. Tell him to try at least, & make sure he does Ardas ji at the end of reading paath. Make sure he practices daya, satya, (full) sucham, bhakti. Bhull chuk maaf kijye! Preeet replied to Big_Tera's topic in WHAT'S HAPPENING? Is burning charcoal incense safe? Vaheguru ji Ka Khalsa Vaheguru ji Ki Fateh Either way, smoke is smoke. In the older era, most homes were more open.. Unlike homes in the west withglass windows. Just use normal stick toof and open the window. Even one toof stick seems like so much for me during Canadian winters. I keep my rooms window open a bit no matter how cold it is outside, for fresh air. Just compare the indoor smell with outdoors. Whichever room I light a toof in, I open the window. Preeet replied to JSinghnz's topic in WHAT'S HAPPENING? Vaheguru ji Ka Khalsa Vaheguru ji Ki Fateh, jio Dhanyavaad for this topic ji. Insults can be done with good words too, and that behaviour is wrong too. I agree that this website is no place for profanity as well. Lets keep it clean. Vaheguru ji Ka Khalsa Vaheguru ji Ki Fateh, ji Is that a picture of Jesus Christ on the wall? & where is this persons Hazoori? There are, were from the same area but Im surprised you didnt know this. Just work on yourself, you cant control others. If someone believes in it then its their topic. What does this have to do with Haryana?? There are plenty of Hindu Jats in Punjab. If you dont believe in the caste system, then dont talk about it everyday, especially on a Sikh Forum. Vaheguru ji Ka Khalsa Vaheguru ji Ki Fateh, ji I dont understand, what is the point of this topic? High or low according to whom? Brahmins?? What significance is this to a Sikh forum? My cousin is going to get married to a non amritdhari girl!!! Vaheguru ji Ka Khalsa Vaheguru ji Ki Fateh, ji I think its wrong that he's marrying a non amritdhari. When I was initiated into amrit, they told us to marry amritdhari(s) only. Ive heard if a married couple wants to become initiated into amrit, both have to go and get initiated and not just one. Think about the jhootha perspective too, Ive heard jhootha-ness of peoples can influence themselves. From which angle is she a Sikh anyways? Ive heard from someone that even Anand Karaj is only for amritdharis only too, since amritdhari(s) pledged to be faithful to Sikh Dharam. 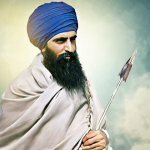 What is a sehajdhari Sikh anyways? I thought sehajdharis are Sikhs who have not been blessed with amrit, but also do not do the four maha bujjar kurehits. If someone does bujjar kurehits, then how are they sehajdhari? Vaheguru ji Ka Khalsa Vaheguru ji Ki Fateh Which deras are you speaking about? Im from the same region, but my village mostly follows Hinduism rather than deras. Preeet replied to Singh1989's topic in WHAT'S HAPPENING? vaheguru ji ka khalsa vaheguru ji ki fateh ji May I ask, whats youre age? I thought you were like 18. What if some of the temples before were shaped as huts? How can someone be so sure to say there were no temples during the vedic period? Im sure that there were lavish royal castles from sat yug kings, where are they now? Point is, there probably were temple structures. Preeet replied to RajKaregaKhalsa1's topic in WHAT'S HAPPENING?